Ultra soft quilting and specially designed orthopedic foam for greater comfort. Warm and comfortable for your canine companion. Machine washable cover for your convenience, and effective for up to 50 washes. Filled with memory fibre for increased comfort. Small: 70cm x 49cm x 17cm. Medium: 118cm x 74cm x 27cm. Petlife is a premium brand known for producing a range of high quality pet products. The Petlife range of innovative solutions takes care of your pet, from collars and leads to bedding and shampoos. 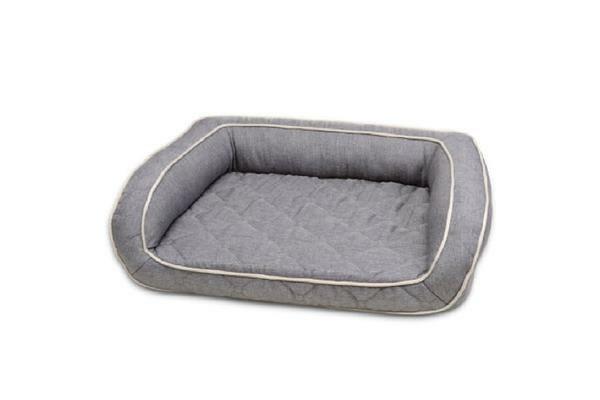 Each product is specially designed to enrich the life of your pet and accommodate their every need. Looking for a toy to keep your dog occupied while youre not at home? Check out our range of premium, Kong dog toys. Looking for the best products to keep your dog as clean as possible on their new Petlife Ultra Tough Dog Lounger bed? Check out our range of, grooming and clean up products!